Raster map export to Garmin® Colorado, Oregon, Dakota, GPSMAP 62 and 78. Using digital elevation models (DEMs), any Touratech QV-compatible map can be displayed in real 3D. Alternatively a 2D map view is available. Various DEMs with different resolution and accuracies are available. Worldwide SRTM30 elevation data are included. Routes, Tracks and waypoints can be planned in a real 3D environment which will give you a much more realistic impression. Through the digital elevation models, elevation isolines can be plotted as overlay in maps without altitude information. You can also highlight different altitude and slope classes in any map. A display of the true position of stars and star constellations is possible which accounts for the location on the globe, date and time of the day. Online Maps as Open Street Maps® (OSM), Google® Maps , Yahoo® Maps and Bing® maps can be opened in the standard map window using an internet connection. Using the “fill map cache” function, sections of these maps can also be used offline. Analog to any locally installed map, You can plan your routes, tracks and waypoints using these online maps. Pocket queries of www.geocaching.com can be imported including all attributes. Using intelligent search functions, the caches of interest can be selected and uploaded to compatible GPS devices. Paperless geochaching is also supported! 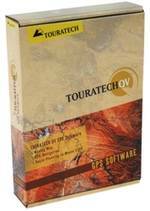 Many Touratech QV-Maps in our proprietary QBR map format are available. Perfect performance during zooming and scrolling. Routable NAVTEQ® maps for Europe, Northamerica and Southern Africa. 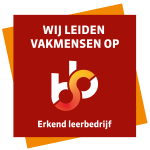 Compatible with many third-party map products on the market. In summary, unmatched availability of maps in various scales for all countries.